Excursions to heritage property in Udaipur or to the other captivating places of tourist interest like Udaipur, Ranakpur, Shrinathji and Kumbalgarh can also be planned using Jhdol Safari Resort which is regarded as the best destination wedding in Udaipur as a convenient and centrally located base. Jhadol has quite a few interesting ancient temples and archeological gems to discover just a little jeep ride away. It is said that Rawana, of the mythological Ramayana fame, meditated here at Kamalnath to gain his boon of invincibility and the ten heads. A myth worth exploring and a sight worth seeing ! Other noteworthy ancient temples with mythological connections are the 11th Century Shiv temple and the Harihar temple. Excursion / picnic to Polo: There are 14 temples of Hindu and Jain religion built from 11th to 16th century, spread over area of 10 sq. km of forest that is biologically rich in flora and fauna. The dense forests and Harnav river, a small perennial stream, provide an excellent opportunity to experience nature. 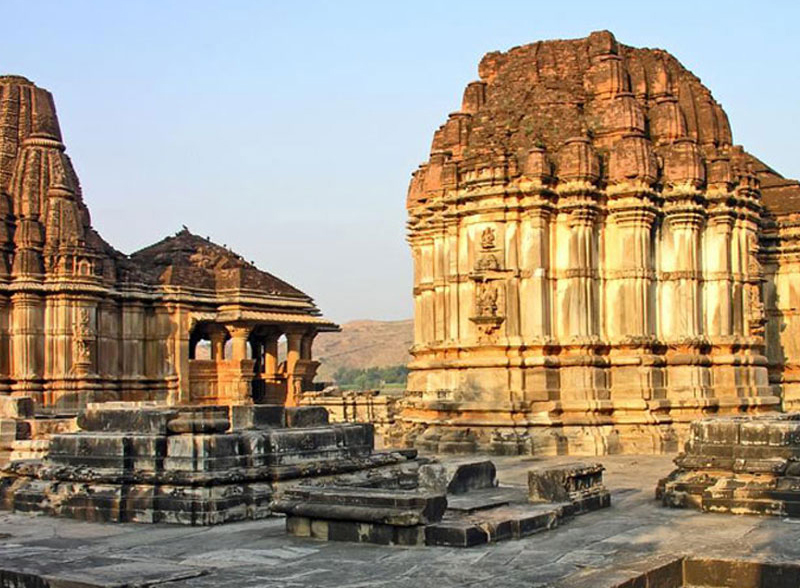 The most interesting archeologically important monuments are: Saraneshwar temple, Lakhena Jain temple, Shiva-Shakti temple, Sadevant Savling Deras, Surya Mandir the ancient Polo Jain Nagri.